When you first get back to school, you need to start teaching, but you might not be ready to dive right into brand new concepts. After all, your students' brains have been on break for the last eight weeks, and you still need to build a classroom community and teach procedures. 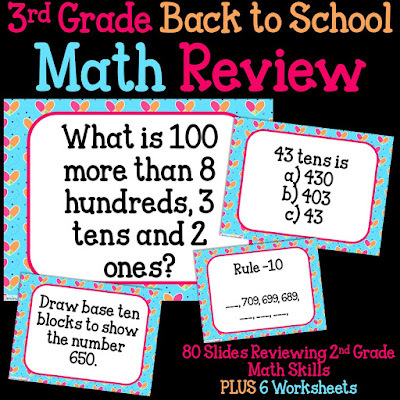 This back to school math review is a great way to do math at the beginning of the year. It includes 80 slides reviewing second grade math skills. (No need for copies!) It also has 6 worksheets that you can have your students complete. It's a great way to assess their math skills! I like to play it as a whole group game using white boards with my students. I make notes of students who are getting all or most right, and students who may be getting all or most wrong. You are so, so very generous! I just finished downloading all of your FREE uber cute I Can statement packs and can't wait to use them. I left comments for all of them as well. I'm off to purchase your awesome math review to use tomorrow in class. Can't wait! 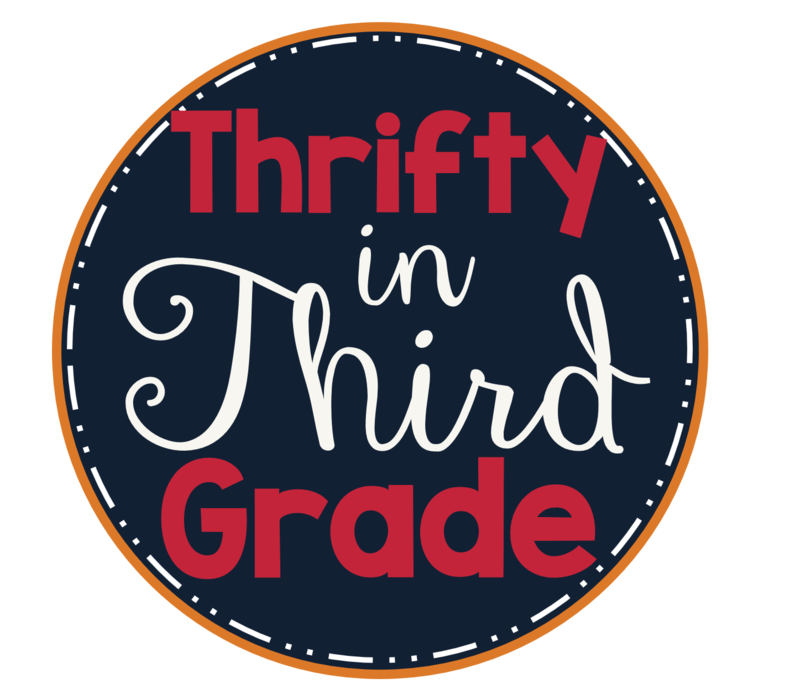 Please make more fab 3rd grade products! Thanks for the great feedback! I am glad you will be using them this year! I just posted a third grade math interactive notebook. It covers all third grade standards! Be sure to check it out. I have uploaded a 25 page preview!